When it comes to home cooking in rural India, health, behavior, and technology are essential ingredients. Consider the government’s three-year campaign to reduce the damaging impacts of solid fuels traditionally used in rural households below the poverty line. Initiated by the Ministry of Petroleum and Natural Gas, a program called Pradhan Mantri Ujjwala Yojana (Ujjwala) aims to safeguard the health of women and children by providing them access to a clean cooking fuel, liquid petroleum gas (LPG), so that they don’t have to compromise their health in smoky kitchens or wander in unsafe areas collecting firewood. According to the World Health Organization, smoke inhaled by women and children from unclean fuel is equivalent to burning 400 cigarettes in an hour. Nevertheless, an estimated 700 million people in India still rely on solid fuels and traditional cooking stoves in their homes. A subsidy of Rs. 1600 (US $23.47) and an interest free loan attempts to offset the discouraging cost of the upfront security deposit, the stove, and the first bottle of LPG, but this measure hasn’t been able to change habits on its own. Why? Although the government has made an overwhelming effort to increase access, interconnected factors like cultural norms, economic trade-offs, and convenience require an in-depth analysis of human behavior and decision-making. 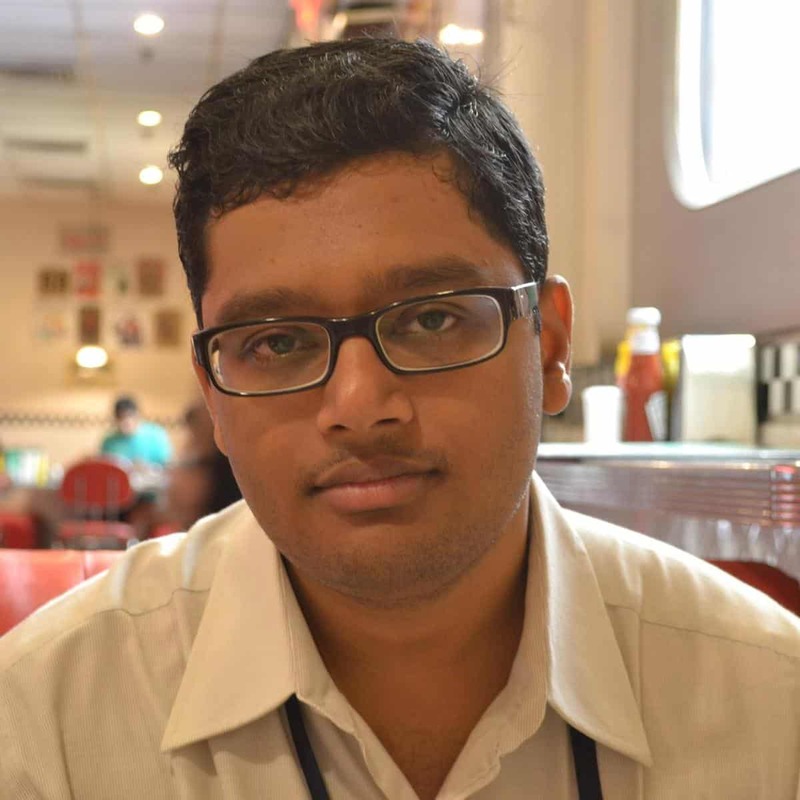 That’s why Abhishek Kar, a researcher in the IIASA Energy Program and a participant in the 2018 Young Scientists Summer Program (YSSP), has designed a study to explore how rural households make choices about access and usage. Borrowing from behavior change and technology adoption theories, he wants to know whether low-cost access is enough incentive for Ujjwala beneficiaries to match the general rural consumption trends, and more importantly, how to translate public perception into a behavior change. Kar knows that although more than 41 million LPG connections have been installed, installment of the connection does not necessarily equate to use. By gathering data on LPG refill purchases and trends, along with surveys that identify biases in the public’s perception, he wants to know how to convince rural BPL households to maintain the habit of using LPG regularly, even under adverse conditions like price hikes. If LPG is used only sporadically, LPG ownership won’t significantly reduce risk for some household air pollution (HAP)-linked deadly diseases, like lower respiratory infections and stroke. Unfortunately, even the substantial efforts the government has made to improve LPG supply has not changed the public’s perception of its accessibility in the long term, nor its consumption patterns in the first two years. At least four LPG refills per year would be needed for a family of five to use LPG as a primary cooking fuel, which is not currently happening for the majority of Ujjwala customers. Because the majority of Ujjwala beneficiaries have cost-free access to solid fuels from forest and agricultural fields, there is less incentive for these families to use LPG regularly instead of sporadically. Priority households for Ujjwala, especially those with no working age adults, are often severely economically disadvantaged and can’t afford to buy LPG at regular intervals. Furthermore, unlike LPG, a traditional mud stove is more versatile and can serve dual purposes of space heating and cooking during winter months. Many prospective customers are also hesitant about the inferior taste of food cooked in LPG, the utility of the mud stove’s smoke as insect repellent, and the trade-off of expenses on tobacco and alcohol with LPG refills. 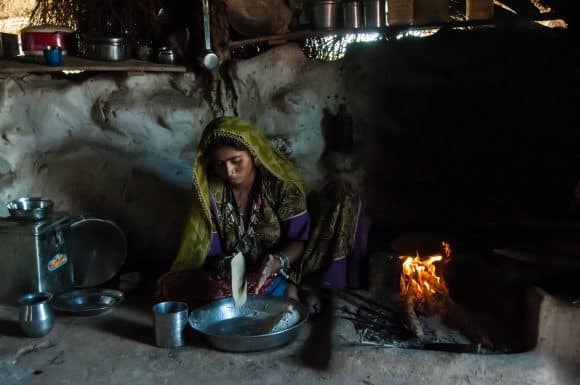 As per past studies, even the richest 10% of India’s rural households (most with access to LPG) continue to depend on solid fuels to meet ~50% of their cooking energy demand. This suggests that wealth is not the only stumbling block in the transition process. “Whatever factors matter in the outside world, my working hypothesis is that every decision is finally mediated through a person’s attitude, knowledge, and perceptions of control,” said Kar. According to Kar, interventions can be specifically targeted to address factors that are perceived negatively either by informing people or doing something to improve that factor. Nevertheless, developing effective interventions is no simple task. Even with a background in physics and management and eight years of experience helping people transition from one technology to another, Kar says he is grateful to have the input of a variety of scholars at IIASA, each with a different perspective and a different set of core skills and experiences. Working in the Energy program alongside IIASA staff and fellow YSSPers from all over the world, Kar puzzles out the unsolved challenge of how to create change for the rural poor. For now, Kar is happy if he can return at the end of the day to his family, which he brought with him to Austria during his time as a YSSP participant, feeling like he is opening the door to a vast literature on technology adoption and human behavior, yet untapped in the field of cooking energy access. Note: This article gives the views of the author, and not the position of the Nexus blog, nor of the International Institute for Applied Systems Analysis.